New England is a rocky, rugged region. Its towns are marked by stone walls and its cities anchored by native granite and marble buildings. Historically significant boulders, many with Native American as well as colonial and neo-pagan origins, attract tourists from around the world. Some are formations that are complex in shape, form and significance, while others contain enigmatic messages, meanings and intriguing characteristics. Learn more about the famous sites like Plymouth Rock, the Old Man of the Mountain and the Sleeping Giant, as well as the lesser-known such as Profile Rock, Dighton Rock and Slate Rock. Authors Michael J. Vieira and J. 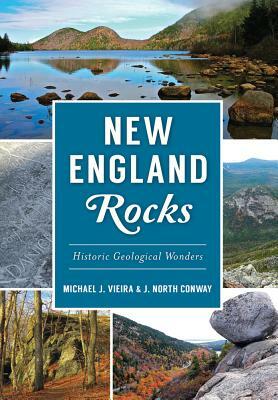 North Conway examine the history, the legends and the people associated with forty-five notable geological wonders.